Being involved in a car accident is a scary situation that most people hope to never experience; however, if you’ve been in a car accident you may not only be dealing with the financial aftermath but also a physical injury, as well. If you have been injured in a car accident, you probably are looking for effective treatment options. After all, most auto accidents can result in multiple and complex injuries. The most common problems we see are back pain, whiplash, and injuries to the knee, shoulders, neck and legs. 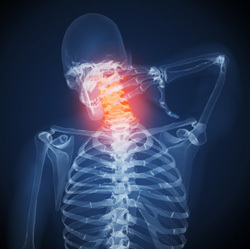 Immediately following the accident you may not have experienced any symptoms of an injury; however, you may have begun to notice pain or poor mobility in the days or weeks following. Sometimes traumatic injuries take time to manifest, which is why we always recommend seeing a doctor for a proper evaluation after an accident. If you’ve been in an accident we are here to tailor our program to fit your needs and to improve your function as efficiently as possible. Our goal is for you to return to daily activities without pain or discomfort. Through different physical therapy modalities we focus on your musculoskeletal injuries to help return patients to their normal functioning levels. For more information on Auto Injuries, call Granite City Chiropractic in St. Cloud, MN at (320) 251-0822!